There is a tree, that while bursting green with life, causes death. No, I’m not talking about that infamous tree from the garden of Eden. I’m talking about the enormous walnut tree towering in our backyard. It’s beautiful, and it’s going to be an amazing source of shade for us in summer, but as I was doing research this spring on what to plant in our garden, I stumbled upon the truth. This walnut tree is a silent killer. It releases a chemical from its roots that causes many other plants and trees to die. They won’t all die right away. Most likely, it will be a slow death, maybe over the course of a few months or even years. The signs of poisoning are not always obvious. More often than not, growth will be slow, and the plants or trees will bloom less and less and eventually they will just shrivel up and wither away. But a plant that isn’t near the poison? That plant will bloom and bear fruit and flourish. Sometimes I get lazy about taking prayer time, or I allow myself to indulge in shows that might not be great, or share and share until it turns into gossip. Before I know it, I’m snapping at my husband and my kids and getting easily frustrated with friends and family. Then I realize that I have distanced myself from the Lord, because here is the fruit, and it is rotten. But the poisoning is slow, and it can take a long time to realize that, spiritually, I am withering away. 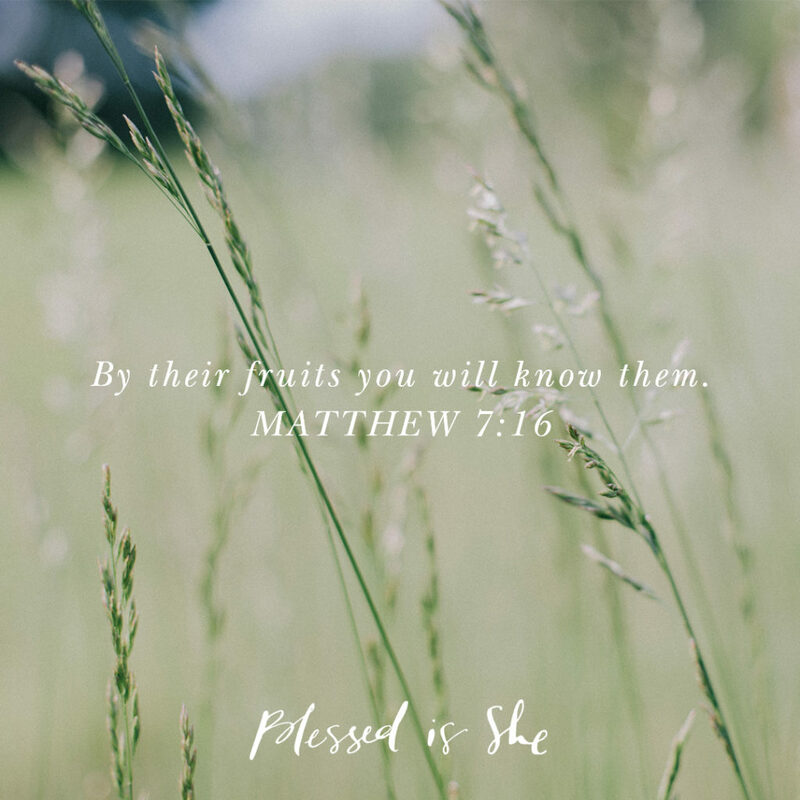 “By their fruits you will know them.” (Matthew 7:20) The beauty of our Church is that she offers us the tools to come back to the source of all joy and life. Union with Christ comes in the confessional and in the Eucharist. I know that when the fruit I am bearing isn’t good, I need to turn back to the Sacraments, because only then can I be healed of the poison of sin. Only then can I bloom and bring forth good fruit. Let’s bloom and bring forth good fruit. Visit the confessional this week and receive absolution and peace. This reflection really spoke volumes to me today. Thank you! Wow – I really appreciated this reflection. Thank you!